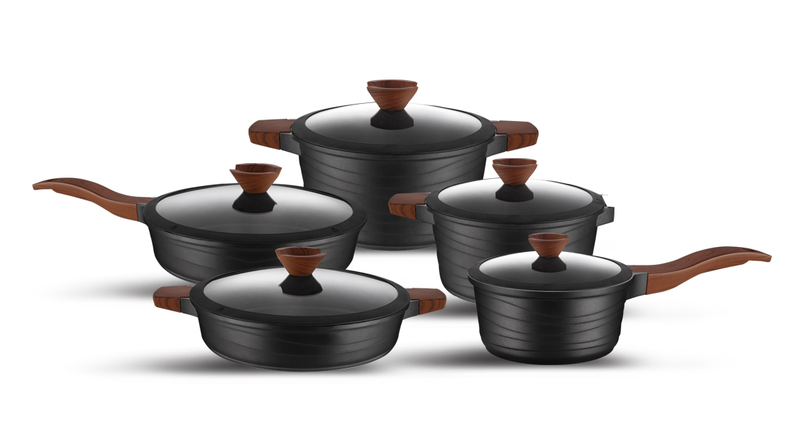 The 10pcs Die-Cast Aluminum Cookware set with black non-stick coating, includes a 20/24/28/32cm Casserole with lid, 28cm shallow casserole with lid, 28cm deep-Fry Pan and 16cm Sauce Pan with lid. 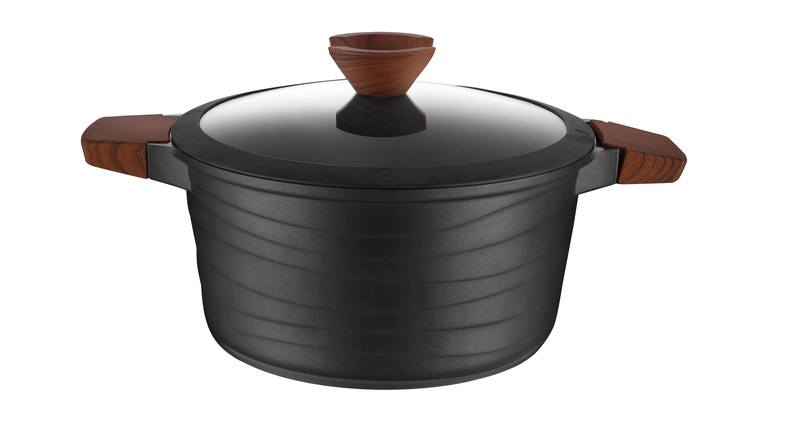 The die-cast aluminum construction and black, nonstick coating is PTFE and PFOA free for non-toxic cookware. The pressure-cast aluminum base is designed with optimum thickness for superior heat retention and the exterior is sprayed with silicon paint offering effective heat distribution cooking food quicker with less energy. 1758OSFE brings you our Professional Die-Cast Aluminum Cookware at an Affordable Price! Looking for ideal Aluminium Cookware Manufacturer & supplier ? We have a wide selection at great prices to help you get creative. All the Die-cast Aluminum Cookware Set are quality guaranteed. We are China Origin Factory of Non-Stick Coating Cookware Set. If you have any question, please feel free to contact us.